When it comes to professional limo and car services, you don’t have to settle for the classic Licoln Town Car most people equate with chauffeuring. 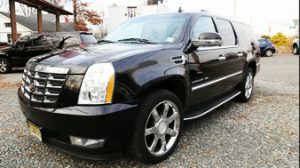 At Hamilton’s Limo and Car Service our company also offers luxury SUVs in NJ and NYC. From the Cadillac Escalade to the Chevrolet Suburban, you’ll love our selection of luxury SUVs. 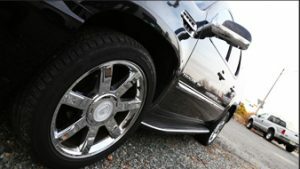 At our NJ car company, it is about more than just riding in a luxury vehicle. We offer a complete high-end experience. Not only can you expect a smooth, safe ride, but you take comfort knowing you will receive first class customer service, flat rate pricing, and the assurance that your chauffeur will always get you to your destination on time. Our drivers are licensed and insured professionals with experience providing safe, comfortable, and punctual car and limo services in NYC and NJ. They are also locals to the New Jersey and New York City areas and utilize the latest navigation technology, so you can rest assured they will be able to adapt to any traffic situation with ease. Get to your destination in style with all the modern conveniences you’d expect from today’s top of the line SUVs. Call Hamilton’s Limo and Car Service to learn more about our services or to make a reservation for luxury SUVs in NJ or NYC today. If you want to take a ride in a luxury SUV in NJ or NYC, call Hamilton’s Limo and Car Service at 862-520-7433 or complete our online request form.